+ DJ's Javier 'La Maquina de Cuba" dishing out the hottest Cuban tunes! Delicious Cuban food will be available all night by Javier La Rosa. Based in London and lead by the veteran composer and singer Piki Bosch, Kandela Mi Son is the perfect blend of energy and passion, bringing pure Cuban music to events throughout the UK. real buzz whenever they play. Collectively, the band have more than 20 years of industry experience and are full time, highly skilled and professional Cuban musicians. With their debut album 'Leave To Remain' receiving a 4 star review in The Guardian, a sold-out album launch at the Jazz Café, various performances on the BBC World Service and BBC Radio 3 and a highly successful 10-date UK tour in the pocket, WARA have been turning heads with their high-energy fusion of traditional Latin genres and the varied influences of London's musical landscape. Mixing old mambo horn lines with reggae, bringing hip-hop to timba and ragga to cumbia, the fiery blend brings the heat to the dancefloor. 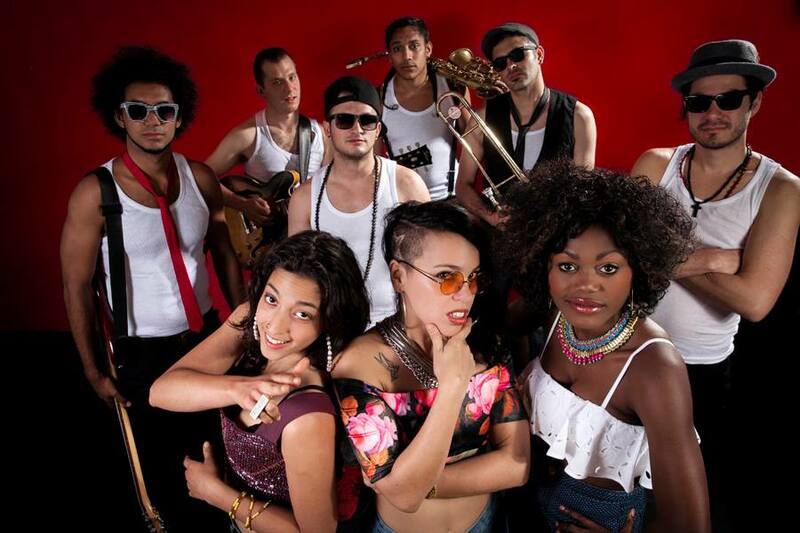 The band are a nine-piece with a scorching melting pot of identities with backgrounds spanning Cuba, Argentina, Venezuela, Chile, Spain, Germany and the UK. Formed in 2009, they soon found that they were doing something nobody else had tried: using their music as a platform to twist stereotypes, bend genres and combine stories in a provocative, upbeat and intelligent way. Influenced by the fieriest of contemporary Havana's Timba and Songo ("Cuban salsa") sounds, borrowing their biting horn lines from the times of the mambo and cha-cha-cha, whilst also covering pan-Latin genres such as Reggaetón and Merengue, Wara also have one foot in London's vibrant global underground: from Ragga, Dancehall and Reggae beats picked up off the Afro-Caribbean scene to grooving Funk, Ska and bass-heavy Hip-Hop. The multicultural vibe that makes London so unique is abundantly present in their sound. +Delicious Cuban food will be available all day by Javier La Rosa. Don't miss 'La gran fiesta Cubana'! 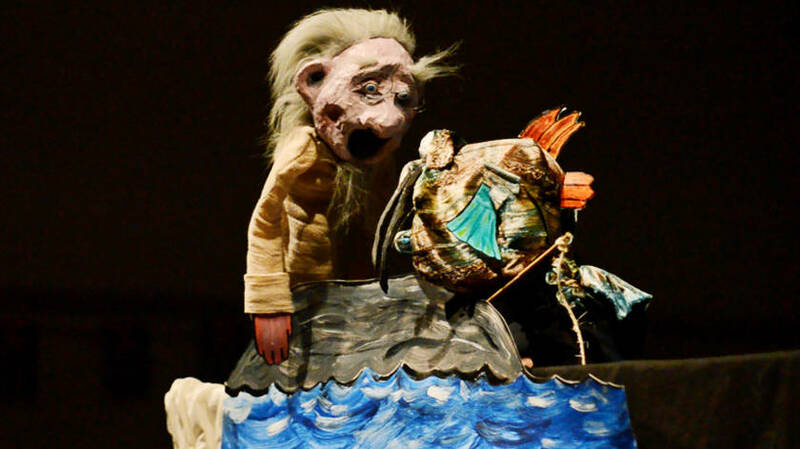 The Fisherman and his Wife is a new comic opera for children. The Fisherman is struggling to put food on the table and his life is further complicated by his cruel wife. When he finds a talking fish that can grant wishes, the Fisherman’s life changes very quickly… but is all what it seems. Family friendly performance suitable for children of all ages. Docklands Sinfonia will once again break new ground with its exciting July 10 concert, “Cuba Fantastique”, featuring a programme of exuberant music that beautifully captures the spirit of Cuba. The concert at St Anne’s Limehouse begins with George Gershwin’s colourful “Cuban Overture”, which sets the scene for the World Premiere of Eduardo Martín’s “Concierto Mestizo”. The Grammy-nominated composer is Professor of Guitar at the Instituto Superior de Arte in Havana and has successfully toured in Cuba, South America and Europe giving concerts and masterclasses. 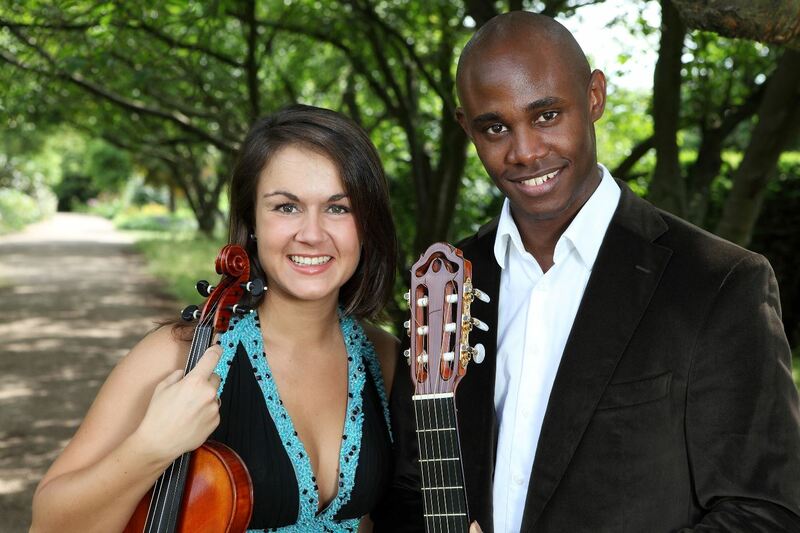 His lively “Concierto Mestizo” will be performed by Martín’s former pupil, virtuoso Cuban guitarist Ahmed Dickinson Cardenas and his wife Emma Blanco, Dockland Sinfonia’s leader. This new composition was specially commissioned by Docklands Sinfonia to showcase the skills of our lead violinist and her new husband. 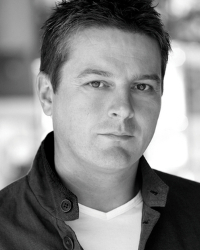 Dickinson Cardenas, who is widely regarded as one of the finest performers of the Cuban Classical Guitar School, has performed at many prestigious UK venues including the Royal Opera House, where he performed with renowned Cuban ballet star Carlos Acosta, the Royal Albert Hall and the Queen Elizabeth Hall. The programme concludes with the popular “Symphonie Fantastique” by Hector Berlioz, which is widely considered as one of the greatest symphonies of all time. It is like mini Cuban Festival this Sunday where we will host the house for all of you with lots live music opening at 12:00pm with delicious Cuban food make by Javier La Rosa. Dj Javier " La Maquina de Cuba" making you dance in between all of the above! +Delicious Cuban food will be available all night by Javier La Rosa. 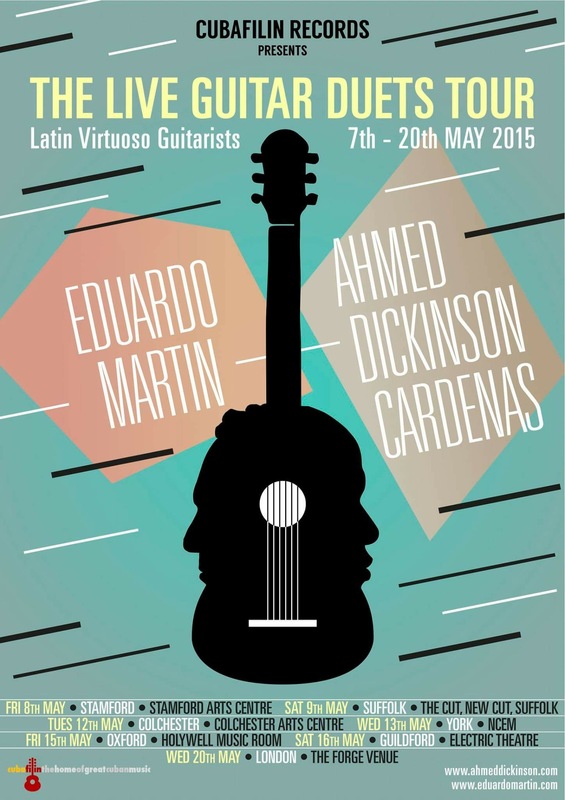 Following a successful London debut in 2014 Grammy nominee Eduardo Martin, one of the most prominent contemporary guitar composers and his former student Ahmed Dickinson- Cardenas hit the UK roads for the first time. With their uninhibited Cuban exuberance they have created a fresh approach to african, jazz and classical music. 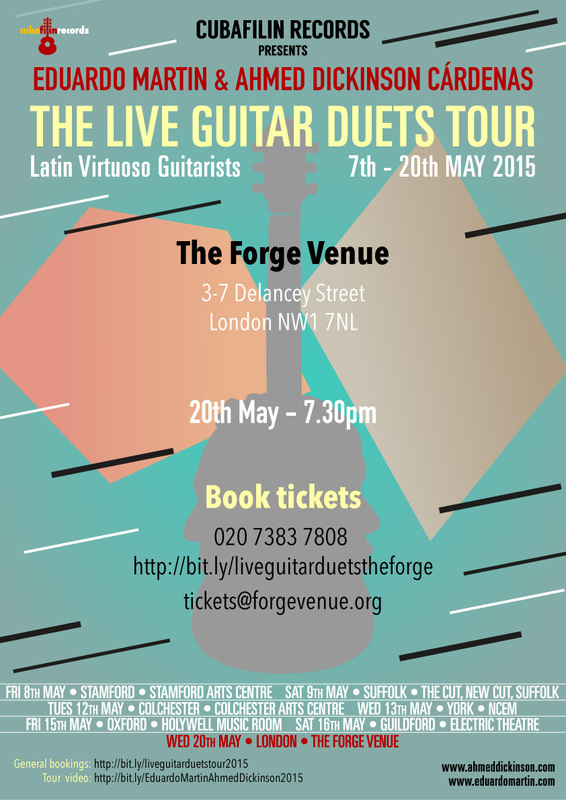 Bridging the gap between two generations, these guitar virtuosos transport you to Cuba with their irresistible duets. St Margaret's Church, Walmgate, York Y01 9TL Box office: 01904 658338. 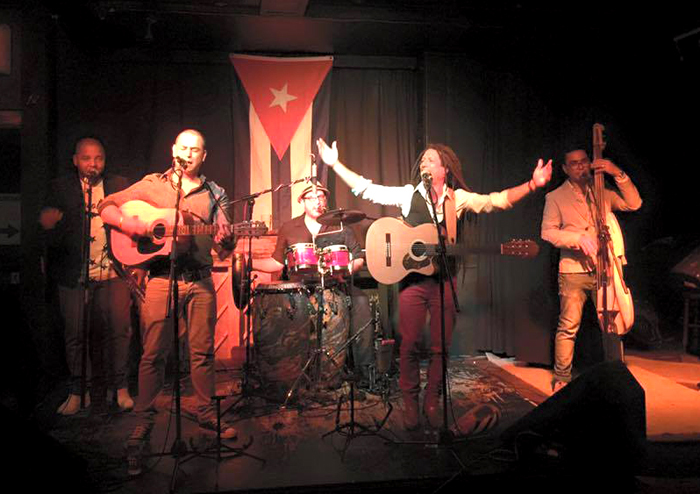 Sambroso Sambroso presents a new night of Cuban music on Friday 8th May at The Forge in Camden Town. Featuring a special performance with the reformed band MOTIMBA for one night only! playing funky, world, Cuban music and featuring some of London's finest musicians + your favourite DJs Flecha & Javier 'La Maquina de Cuba' dishing out the hottest Cuban tunes! 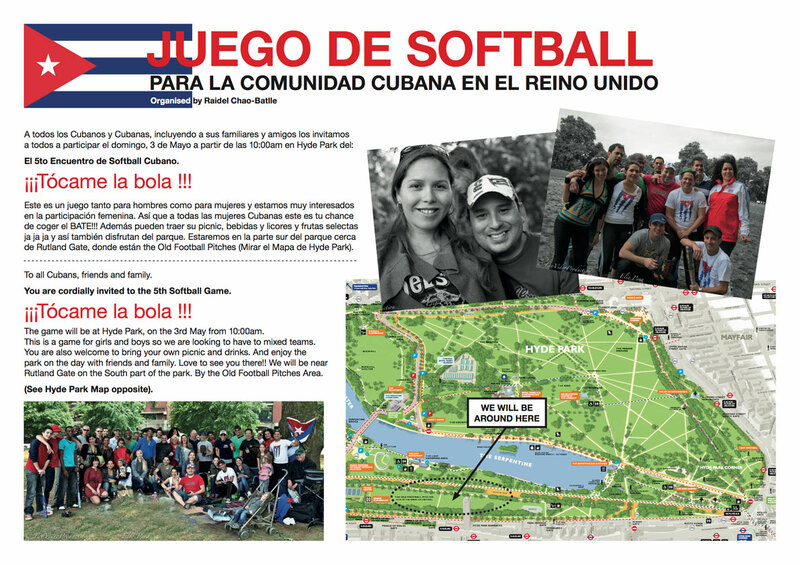 A todos los Cubanos y Cubanas, incluyendo a sus familiares y amigos los invitamos a todos a participar el: Domingo 7 de Junio a partir de las 10:00am en Hyde Park del El 5to Encuentro de Softball Cubano. Este es un juego tanto para hombres como para mujeres y estamos muy interesados en la participación femenina. Así que a todas las mujeres Cubanas este es tu chance de coger el BATE!!! 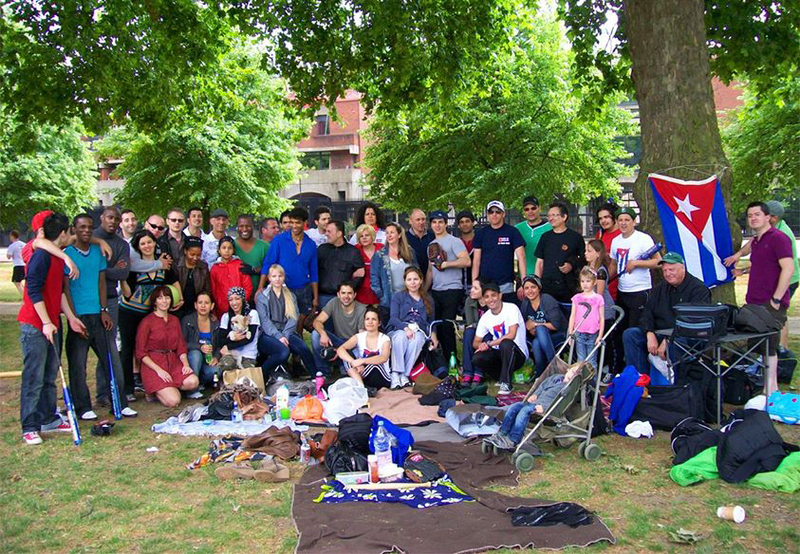 Además pueden traer su picnic, bebidas y licores y frutas selectas, ja ja ja y así también disfrutan del parque. (Mirar el Mapa de Hyde Park). 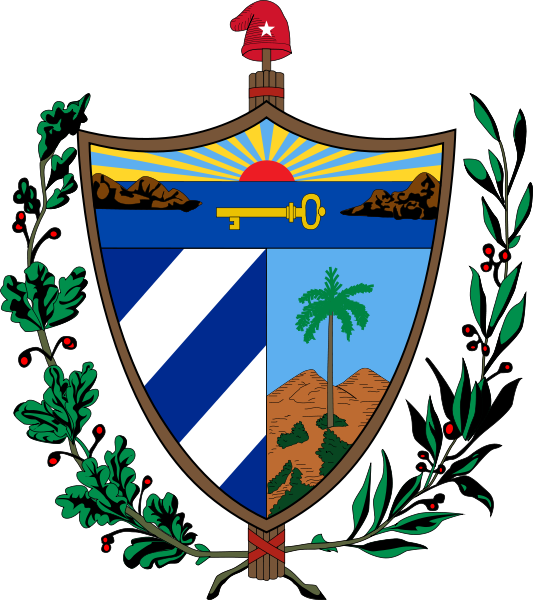 To all Cubans, friends and family. You are cordially invited to the 5th Softball Game. The game will be at Hyde Park, on Sunday 3rd May from 10:00am. This is a game for girls and boys so we are looking to have to mixed teams. You are also welcome to bring your own picnic and drinks. And enjoy the park on the day with friends and family. Love to see you there!! We will be near Rutland Gate on the South part of the park, by the Old Football Pitches Area. (See Hyde Park Map opposite).